Written in easy-to-read and -use format, this book updates and revises its bestselling predecessor to become the most complete, comprehensive resource on plastics testing. This book has an emphasis on significance of test methods and interpretation of results. 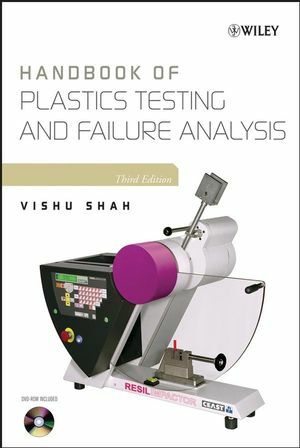 The book covers all aspects of plastics testing, failure analysis, and quality assurance - including chapters on identification analysis, failure analysis, and case studies. The book concludes with a substantial appendix with useful data, charts and tables for ready reference. VISHU SHAH is President of Consultek, a plastics industry consulting company. He was president and cofounder of Performance Engineered Products and senior plastics engineer of the Rain Bird Corporation and Nibco Inc. Currently, he teaches numerous classes on various aspects of plastics at California State Polytechnic University, Pomona. Vishu Shah is a past president and current board member and senior member of the Society of Plastics Engineers. 1 Basic Concepts in Advancement and Testing Technology. 13 Identifi cation Analysis of Plastic Materials. 14 Testing of Foam Plastics. 17 Product Liabilities and Testing. 18 Nondestructive Testing and Measurements. 19 Professional and Testing Organizations. 20 Uniform Global Testing Standards. Appendix A: Index of Equipment Manufacturers. Appendix B: Abbreviations: Polymeric Materials. Appendix G: Independent Testing Laboratories. Appendix I: Charts and Tables. Appendix J: Plastic / Polymer Educational Programs in the United States and Canada. Appendix K: Figure 15-5. New Application Checklist. Updates the successful 2nd edition to meet the changes in collecting and analyzing plastics data. The book details the new ways data is collected, displayed, and analyzed. Expands the prior edition’s coverage of failure analysis due to increased litigation related to product liability.